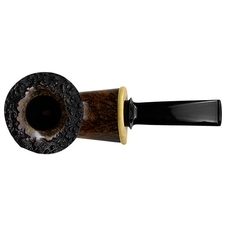 Steve Liskey is known for his elegant balance and fine Freehands, though this ability with the classics is not to be overlooked. 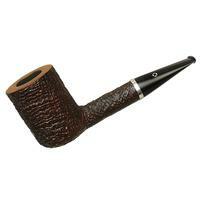 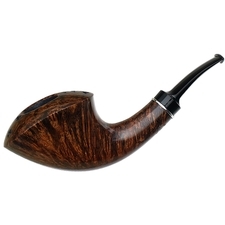 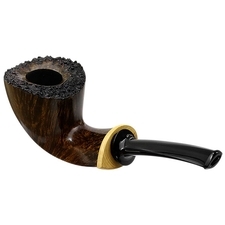 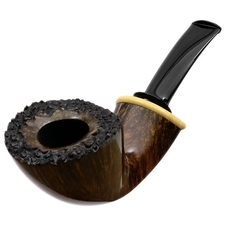 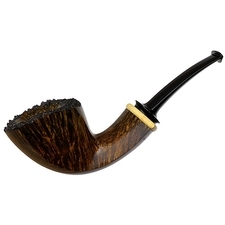 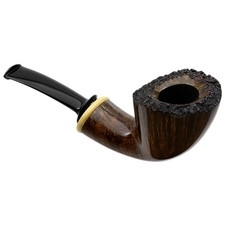 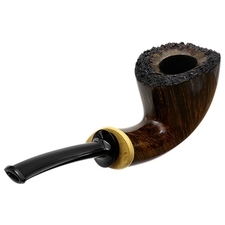 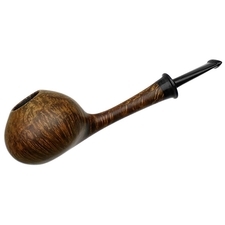 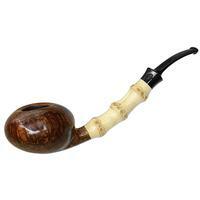 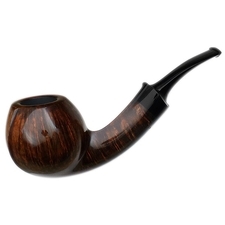 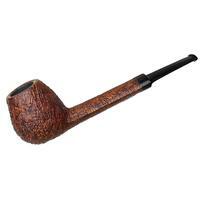 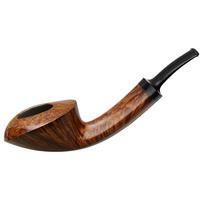 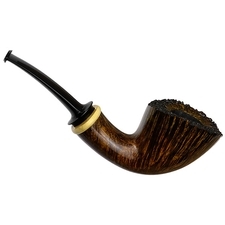 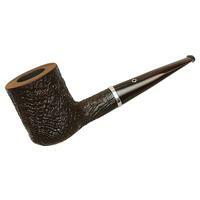 This bent Dublin is a fine example, taking a sinuous approach to the shape, with the broad flare of its bowl and lean line of its shank acting in perfect harmony. 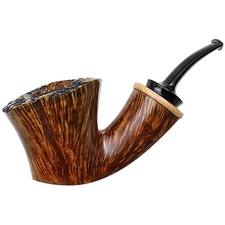 There's no shortage of structure here, though it is kept subtle in hand, while the organicism of the piece is at the forefront, with some rugged plateau at the rim and a fine accent of boxwood at the rear. 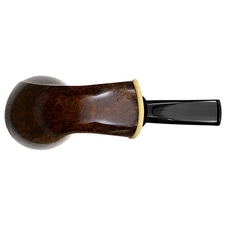 It's a fine example of Liskey's style, and a beautiful piece for any collection.